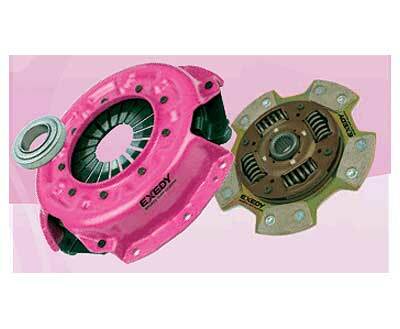 The Heavy Duty (HD suffix) clutch kits are perfectly suited for use in lightly modified vehicles or vehicles carrying loads used for daily driving or in amateur motor sports activities. A high performance clutch cover with increased clamp load which will transmit an increase in engine torque is included in these kits with an organic clutch disc creating a performance clutch kit with smooth take off drivability. - Premium quality original equipment componentry. - Advanced damping mechanisms including wide angle dampers and multi rate springs. - Assembled from 100% new components. - Able to transmit increased torque to drivetrain. - Correct fit and function. - Organic discs for precise clutch operation together with smooth pedal feel. Click the button below to add the EXEDY HONDA JAZZ STAGE 2 CLUTCH KIT to your wish list.